This recipe is one of the EASIEST and BEST recipes I have ever created! I posted it a while back on my instagram (@fantasticallyfit) and it was sooo popular that I decided I wanted to repost it on my blog! 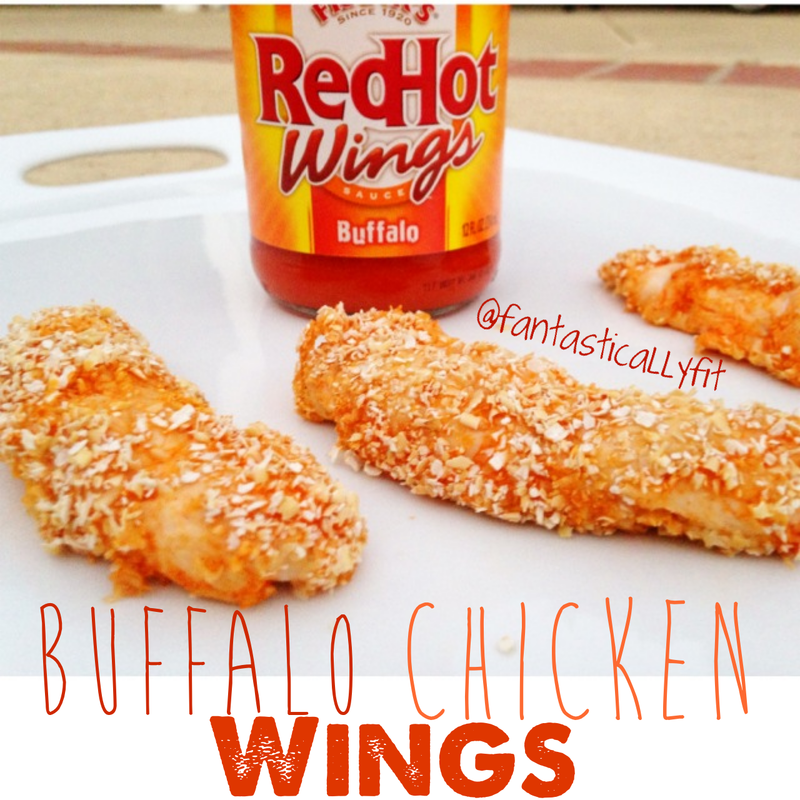 If you love those unhealthy amazingly delicious buffalo wings these will not disappoint! In a bowl mix together the oat bran, garlic powder, and onion powder. In another bowl pour some of the buffalo wing sauce. Dip each chicken tender into the buffalo wing sauce and then the oat bran mixture making sure to cover all sides. Bake on a baking sheet for approximately 25-30 minutes or until chicken is cooked through. 3 Responses to "Buffalo Chicken Wings"
Just wish I knew how much garlic and onion powder to mix in with the oat bran! Sorry I didn’t measure. It is just to taste. Not a ton.